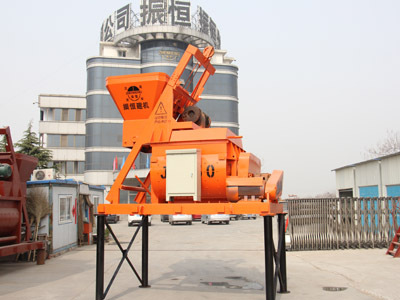 The JS series can work independently of.Zhenheng single twin shaft forced type concrete mixer equipped with at least 3 Motor: lift motor, pump motor and the stirring motor, greatly enhance the production efficiency of the mixer. The mixer capacity determines the different motor power. Zhenheng production of the JS series of forced type concrete mixer mixing dry, plastic, fluidity, lightweight aggregate concrete and various mortar, reasonable design structure, using patented technology, the efficiency is 30% higher than other manufacturers of products, convenient operation and maintenance, but also can change according to the special requirements of users, users are welcome to meet the needs of users. To visit our factory! 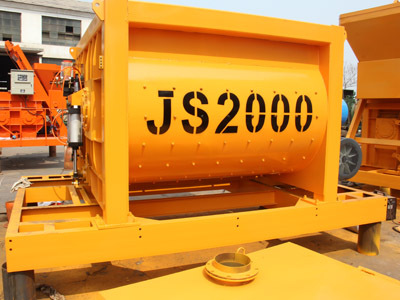 Previous:How to Safely Operation JS Concrete Mixer?